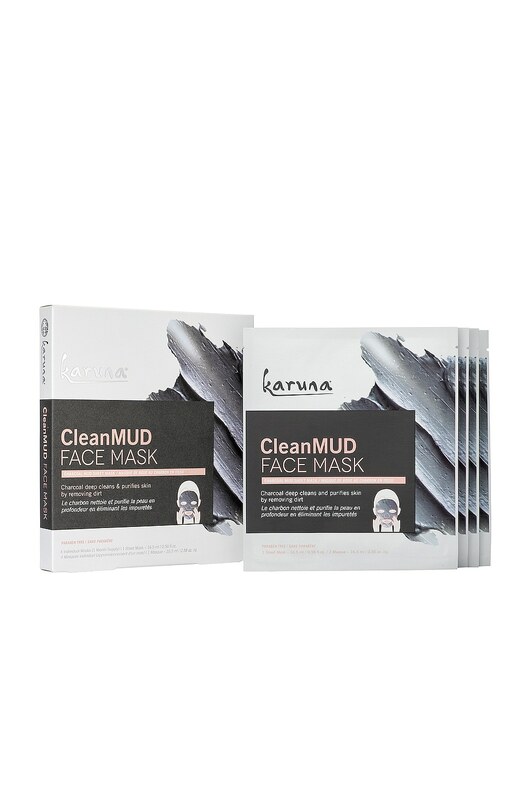 Treat your skin to a purifying mud facial without the mess of traditional masks. 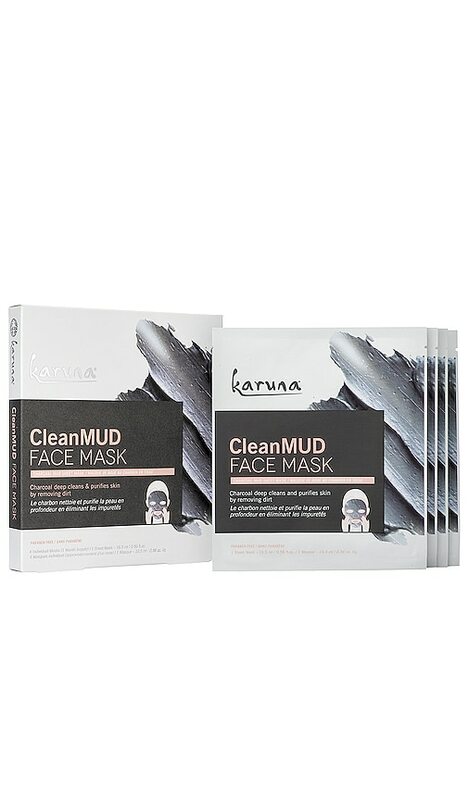 Karuna's CleanMUD Face Mask features activated charcoal to refine and refresh the skin after one use, leaving skin deep cleaned and clarified. Water (Aqua), Hydroxypropyl Methylcellulose, Kaolin, Cellulose Gum, Glycerin, Ascophyllum Nodosum Extract, Epilobium Angustifolium Flower/Leaf/Stem Extract, Portulaca Oleracea Extract, Citrus Paradisi (Grapefruit) Fruit Extract, Lonicera Japonica (Honeysuckle) Flower Extract, Zanthoxylum Piperitum Fruit Extract, Actinidia Chinensis (Kiwi) Fruit Extract, Houttuynia Cordata Extract, Camellia Sinensis Leaf Extract, Aloe Barbadensis Leaf Juice, Dipotassium Glycyrrhizate, Sodium Hyaluronate, Butylene Glycol, 1,2-Hexanediol, Bentonite, Niacinamide, Polysorbate 60, Cetyl Ethylhexanoate, Acetyl Hexapeptide-8, Caprylyl Glycol, Moroccan Lava Clay, Xanthan Gum, Phenoxyethanol, Fragrance (Parfum), Benzyl Salicylate, Charcoal Powder.